Play Swallows and Amazons. Take the launch around the lake. Light the fires and gather round the huge oak table. Derwentwater House is a stunning Georgian house overlooking Derwentwater in the Lake District. 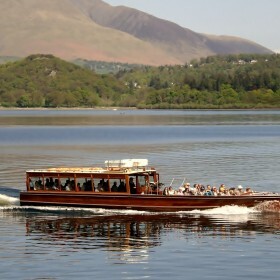 Bring together twenty of your friends and family for a wonderful lakeside break. Take the launch to Keswick, on and around the lake. 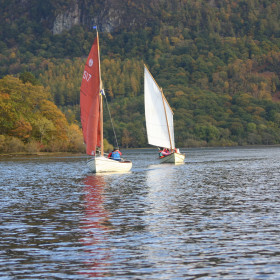 Play Swallows and Amazons on the water. Enjoy croquet, cricket, a BBQ and a fire pit. Drink in the views. 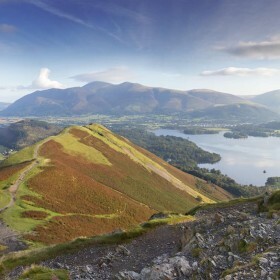 Head out and explore some of the most breathtaking scenery in England. 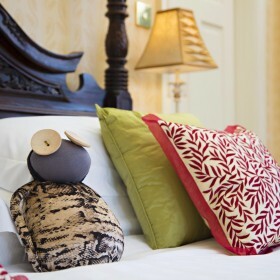 Derwentwater House sleeps up to 20 in ten stylish ensuite bedrooms. There is a huge dining room, swish kitchen, two comfortable lounges and a games room. A marina a few hundred yards from the house. 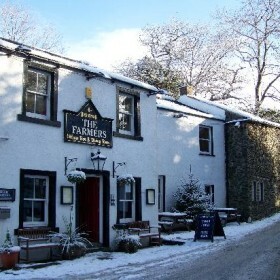 Great pubs and dining too. When you’ve had your fill of views and adventure, light the fires, open the wine and gather together around the enormous hand-made oak table. 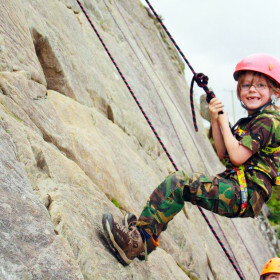 This is the ultimate Lake District experience. The main entrance takes you into a porch complete with seat and boot rack. Then, stepping into the main hallway of the house with crystal chandeliers, fantastic art and great vibes! 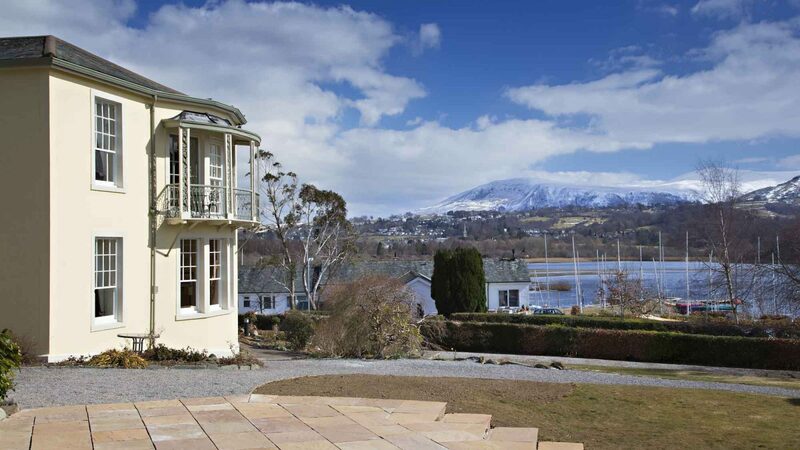 On the left hand side is the ‘quiet sitting room, a warm, sunny room with large bay window overlooking the garden and a front window overlooking the marina and lake Derwentwater. The next room on the left is the ground floor en-suite bedroom with easy access. To the right of the entrance hallway, through the door, up a couple of steps takes you into the Tartan room, the main hub of the house with bookshelves, a log burning stove, comfy sofas, eye-catching art and a table in front of the window for those family games on a wet day…..no it doesn’t rain in the Lake District!! This room also leads to the side porch and the dining room. A door from the kitchen takes you into the back hall, turning left will take you down a couple of steps to the TV room, a cosy room with large TV, DVD and comfy seating, you can also reach the main hall from this area, so the end of the circular tour. If you turn right out of the kitchen door you will come to a rear entrance and stairs down to the basement. Here you will find a more practical area, washer, dryer, iron etc., and around the corner from this are two rooms for the young and very young. 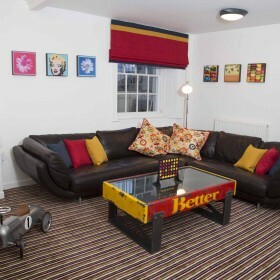 A colourful sitting room with large leather sofa, bright Warhol prints, games, TV and in the next room a pool table with a loo/shower room leading off. A nice, safe area for the children to play and have some fun! We want you to enjoy every moment of your stay at Derwentwater House so whatever your desire for food and drink, we can help. 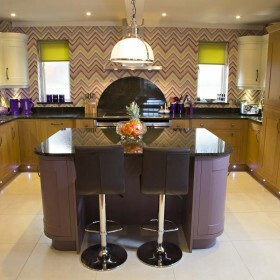 If you love cooking then help yourselves to the ultra-swish kitchen and huge dining room. 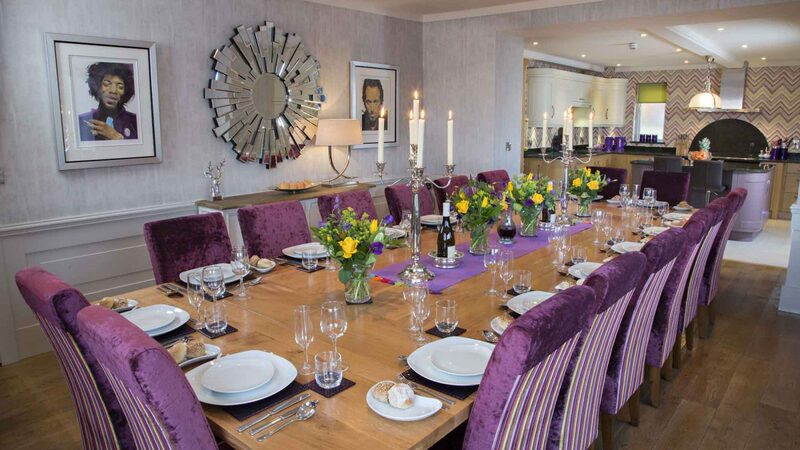 The dining room and kitchen are the perfect area in which to celebrate with all your guests. 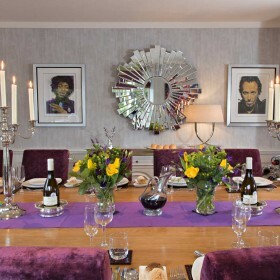 A fabulous locally made oak table seats up to twenty with candelabras and stunning modern art. With lovely views of the mountains and lake. The newly fitted kitchen is well equipped with two ovens, two fridges, two freezers, warming drawer, microwave, two dishwashers and even a wine fridge. The induction hob will delight any cook or chef and there’s a couple of stools at the central island for sipping a glass of wine and giving the cook advice! Alternatively, if you’d like a little or a lot of help then we offer everything from casseroles dropped off ready for the oven to waitress-served in-house catering. 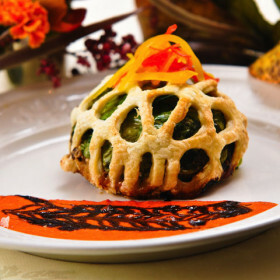 Or sample fine cuisine at a local gastro-pub or restaurant. 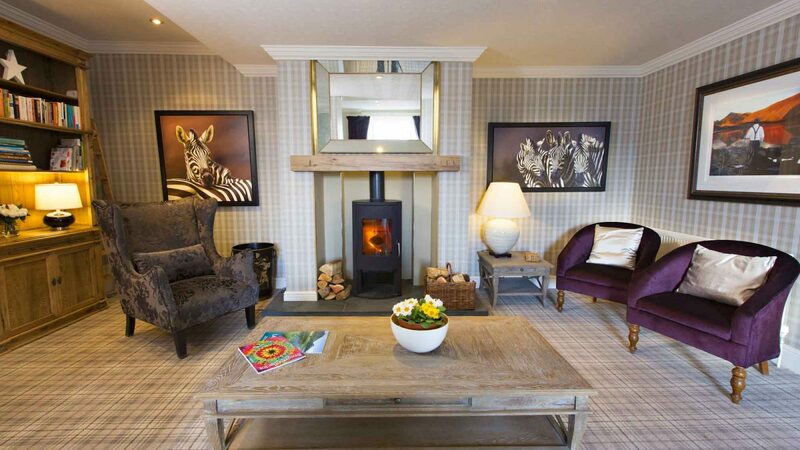 There is an excellent pub just down the road in Portinscale, the Farmer’s Arms, ten minutes’ walk from the house, or the Chalet Restaurant, informal yet stylish – a mere 5 minute walk. 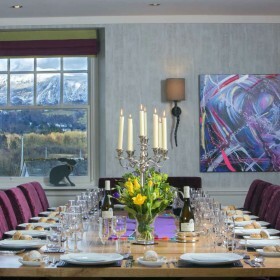 For dining out you can head to Morrels in Keswick or The Pheasant Inn just outside the town. 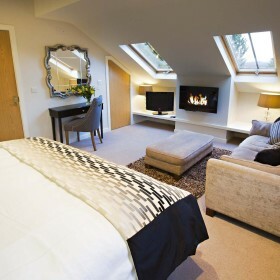 All our bedrooms have fully tiled en suite bathrooms, built in wardrobe/drawers, dressing table and hair dryer. All the showers in the house are superb giving great volumes of water. Each room has a Ruby Ruth doll to keep a large eye on things. These dolls are hand-made from recycled materials and are available at Treeby and Boltons, Lake Road, Keswick. Each has a name tag and a line or two about their hobbies/likes and dislikes! Rooms 1 and 2 are a fairly new addition to this lovely Georgian house, however they have a lovely warm, cosy feel to them. Both have en suites with showers. 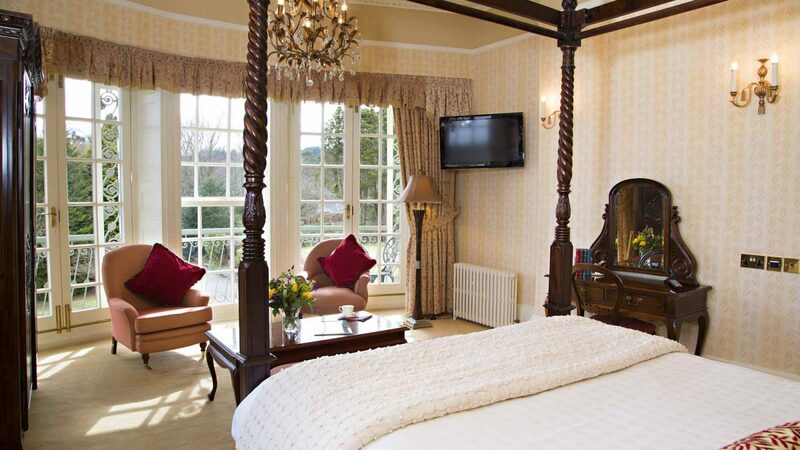 Room 1 has a lovely deep window seat enabling the guest to literally climb in and enjoy the majestic sight of Skiddaw the highest mountain in the North lakes. Room 2 is at the rear of the building and has a lovely tranquil feeling. Both have permanent twin beds. Room 3 is on the opposite side in the Georgian part of the house and has a lofty ceiling and plenty of light from the window with a superb view of the gardens and lawns. Room 4 is tucked away on the half landing at the top of the first flight of stairs and offers a little secluded, quiet haven and facing south enjoys plenty of sunshine. 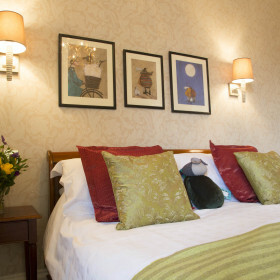 Room 5 is on the ground floor overlooking the garden and lawns and is suitable for anyone who may find stairs difficult or is wheelchair bound. There is a sliding door into an ensuite wet room which for ease of access is equipped for anyone elderly or in need of a little help in getting showered with extra handrails etc. 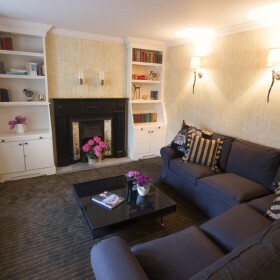 We have three named suites in the main house. 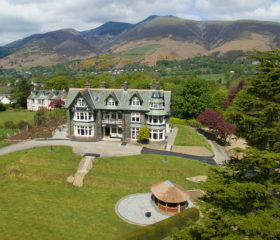 Skiddaw is a charming corner room with views to Skiddaw but also onto the main front Garden and the fells beyond. It also has two bathrooms, one with jacuzzi bath and hand basin, the other with shower, toilet and handbasin, so plenty of room with two comfy chairs, TV and a lovely 5ft sleigh bed. 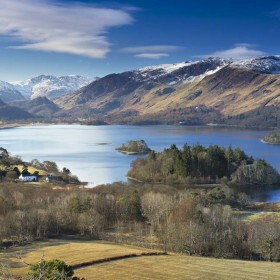 Keswick is aptly named for the views across the lake to the town. The en suite has a corner jacuzzi bath and separate shower. The room is spacious, again with a 5ft sleigh bed and TV. 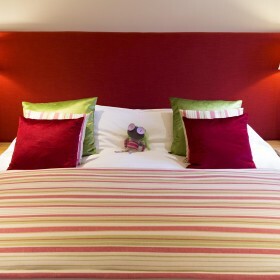 Cat Bells is the third suite in the house and this room is the creme de la creme of bedrooms! It has everything. 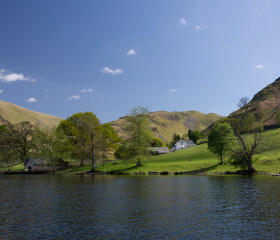 A large bathroom with a loo with a view – the best view in Lakeland! A large freestanding bath with waterfall shower over. The room has a four poster and a lovely view from the front window, however it has a wonderful wall of windows and doors which open onto a small outside Georgian balcony with views across to Cat Bells (of course), the marina and the fells beyond Derwentwater. 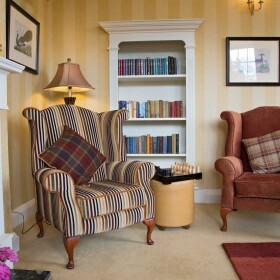 A large room with plenty of space to sit and enjoy your time in the Lake District. 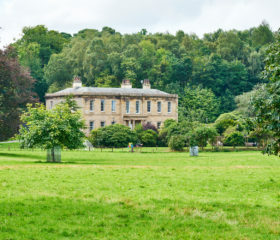 This lovely separate house in the grounds comfortably sleeps six. On the ground floor there are two double bedrooms, bathroom and small kitchen where you can relax and make yourself a cuppa and enjoy a little time out. The ground floor large bedroom has a six foot zip and link bed, sitting area and views to the lake. 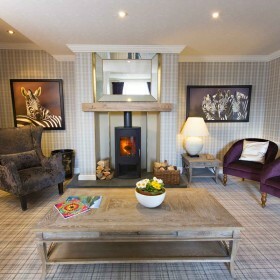 Upstairs we have a wonderful room, with six foot bed, sofa, TV and even a fire! A bathroom with shower next door completes the tour of all our bedrooms and bathrooms. In case of need we do have a small double bedroom also on the ground floor with a five foot double bed, suitable for a single should the need arise. 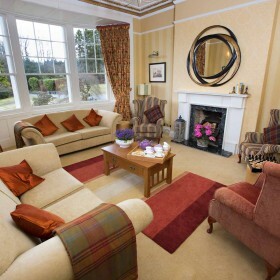 Derwentwater House and Lodge sleeps 20 with 11 bedrooms in total. This view tells you what to do. Hike the hills, sail the waters, canoe, climb. More mild than wild? 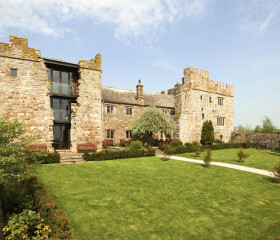 Try golf, Theatre by the Lake or a tour of the Jennings Brewery.